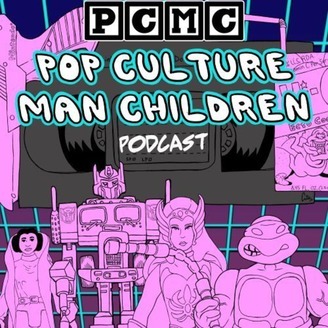 Every week the Man Children run down their favorite new movies, shows, comics, toys, and more. 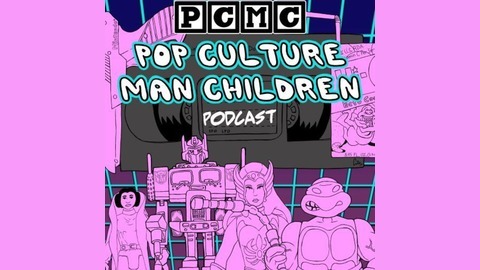 The podcast covers everything from current pop culture to retro stuff. So if you're interested in Pop Culture news, reviews, and overly passionate rants, this is your show. All coming to you from the perspective of two adult men who really should be less into this stuff by this point in their lives. 76: Star Wars IX Trailer Chat! The day has come! The teaser trailer for Star Wars IX is out and host Mike Bongiorno can't contain his excitement as he chats with today's guest Anthony Bongiorno (from the Return to Oz episode). Mike and Anthony breakdown the trailer, discuss their theories about the film, and speculate on how the series will end. Also on this episode: Dash Rendar, The Last Jedi, Carrie Fisher's jewelery, Rey's outfits, and much much more! So listen in and Yub Nub ("celebrate the love")! 73: Concrete Jungle Where Dreams are Made of?